God chose you. What does that mean? How should we respond? I’ve looked at this passage a lot this week as I worked on the layout and design. It’s not surprising but there’s a lot of good stuff in it for us. 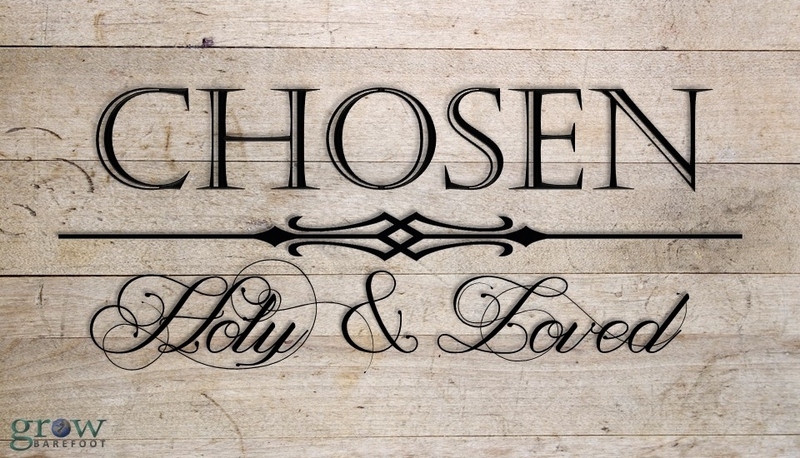 “Therefore, God’s chosen ones, holy and loved…” (Colossians 3:12). He created the universe. He gave up the glory of heaven to live among us. He resurrected Himself from the dead. He promised to return in all power and authority to establish a world-wide kingdom of peace. No one else can make any of those claims. They all testify to His power, authority, glory, honor, and just plain old awesomeness. I think that kind of love and devotion from One so worthy warrants a response on our part. Sure, we can accept the love and blessing God bestows on us without allowing a transformation within ourselves. We can even choose to reject the love He offers – many do, sadly. However, when I take a moment to consider who God is and His desire to choose me, I can’t help but think my life should look different in response. Mercy, tenderness, and affection should well up deep within us and overflow to the surrounding hurting world. We can’t step over the homeless person asleep on the street. We can’t remain indifferent to the slaughter of the unborn and the subsequent trafficking of their organs. We can’t ignore the struggles of those persecuted for believing the same message of hope in which we believe. Ours should be a life lived with moral integrity as we focus on the good. Not only should an effort to do what’s good mark our lives, but we should also extend that effort to others. We must do what’s right in a given situation. The world seeks to promote itself; the follower of Jesus seeks to promote Him. We recognize how awesome He is – I talked about that a little at the beginning of this article. That recognition helps us understand our lower place in the whole scheme of things. Life is no longer all about our power, our glory, or our honor. We now understand it’s all about Him. Life’s hard; the world is harsh. Into that unforgiving environment, God gently brought a message of grace. He doesn’t beat us up with His Word. He doesn’t torture us until we convert. He comes to us lovingly, quietly, and stirs in us a desire to extend that gentleness to a world already beaten and bruised by their own behaviors. Our tendency is to get angry when things don’t go our way. We fly off the handle when people make us mad. But you know what? Those things are always going to happen. 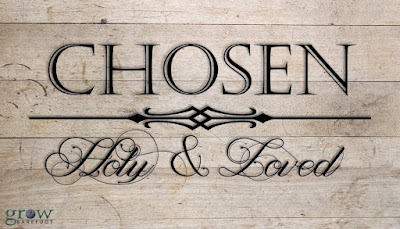 Living as one chosen by God means we persevere through those times with a constancy and endurance not seen in those of the world. Did you know that if you want to be a Rockette you have to be a certain height, certain weight, and have a certain leg length? They want all of the dancers to be exactly the same size. God doesn’t choose people who are all exactly the same, however. We come with different backgrounds, personalities, experiences, dreams, and every other descriptor. Sometimes our differences make it hard but God chose others just as He chose us. Our response should be to accept one another – even the different ones. Yeah, He said it. It’s there – and it’s hard. 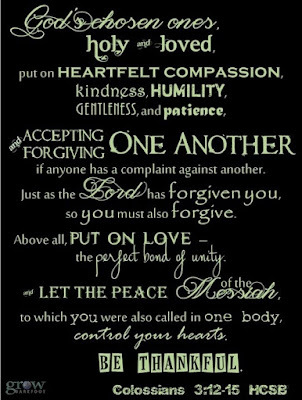 We need to forgive each other. Think about how much God has forgiven in your life. He has forgiven just as much in the lives of His other chosen followers. It’d be pretty messed up of us if we can’t forgive them too. After all, their offense before sinless God is much greater than any offense they’ve made against us. And yet, He’s forgiven all of it. God’s love is unfathomable. I’m not even going to try to describe it because words can’t describe it. It’s enough that He couldn’t stand an eternity without you. He looked down from glory into our pit of sin where the nastiness of death bound us and suffocated us and said, “I’ll take her place. I’ll go into the pit so she might join Me here.” That’s love. Part of our response is to make every effort to love that way in return. We’ll never fully accomplish it but we can sure spend a lifetime trying. Our natural tendency is to war against God; our nature is to rebel and fight His perfect plan. On our own, we’d never live in peace with Him. On the flip side, He never would have granted us peace either except for the sacrifice of the Prince of Peace, Jesus. I don’t think it’s too much to ask, then, that we also live in peace with one another. Stand firm to the end. Cling to your hope. Walk by faith. Endure suffering. Live worthy of the calling. Pray continuously. Fight the battle. We throw out these Christian adages to encourage one another in the midst of our spiritual warfare – and they’re all important. They all have their place. Before we ever step into battle, however, we need to understand our defensive armor and our offensive weapons. Satan’s fiery darts will take us out in no time if we aren’t prepared before we ever step on the battle ground. 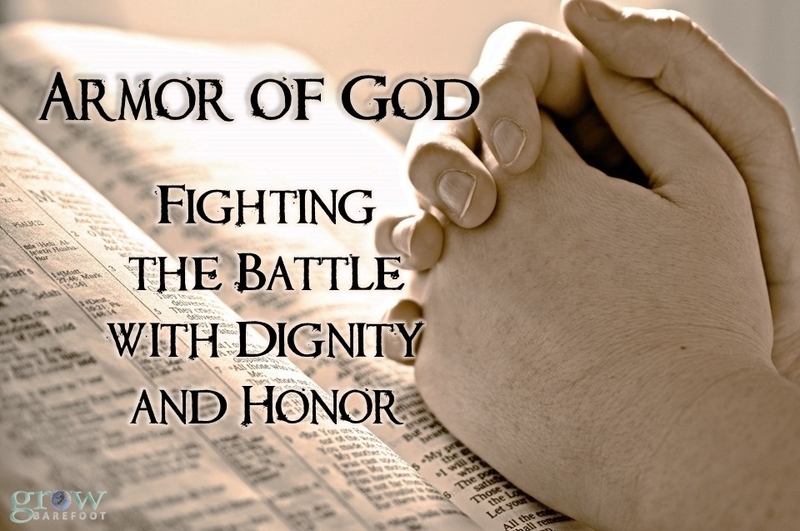 Ephesians 6:14-19 details an entire list of garments required before we step into the battle. Many people compare this list to the pieces of armor worn by a Roman soldier. I don’t think this is accurate, however. 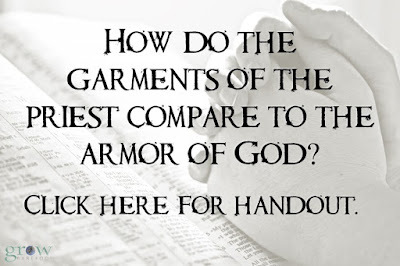 Instead, the armor listed in Ephesians 6 correlates with the garments worn by the priest in the Old Testament. The Old Testament is always our best tool to help us understand the New Testament – not cultural surroundings, even first century Roman culture. The primary correlation lies in a comparison of the duties of the priest with the offensive weapons in spiritual warfare. The priests were “to stand before Yahweh to serve Him, and to pronounce blessings in His name” (Deuteronomy 10:8). In other words, they stood before God to minister on behalf of the people as they burned the incense. Incense stood for the prayers of the people (Revelation 5:8, 8:3). Also, they stood to pronounce blessings – or to speak the Word of God – to the people. 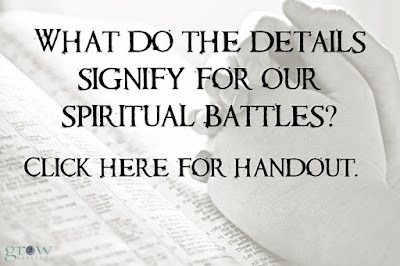 In the spiritual warfare passage of Ephesians 6, we have two very similar offensive weapons. They are “the sword of the Spirit, which is God’s word” and “Pray at all times in the Spirit with every prayer and request” (Ephesians 6:17-18). I’ve created two handouts that go into much of the significance and symbolism of the priest’s garments, including what they can teach us about modern day spiritual warfare. I’m including them for you below. Even these, however, barely scratch the surface of all we can learn from the garments and duties of the high priest when engaging in spiritual warfare! Let me give credit where credit is due. I didn’t first make the correlation between the armor and priests’ garments. I’ve based my research on this video by Mark Biltz; he covers it very generally. I built upon that general foundation to find specific, significant connections and relationships between the garments and the armor. An ISIS soldier "had begun having dreams of this man in white who came to him and said, 'You are killing my people.' And he started to feel really sick and uneasy about what he was doing," Fadely continued. "The fighter said just before he killed one Christian, the man said, 'I know you will kill me, but I give to you my Bible.' The Christian was killed and this ISIS fighter actually took the Bible and began to read it. In another dream, Jesus asked him to follow Him and he was now asking to become a follower of Christ and to be discipled" (Menzie, Christian Post). 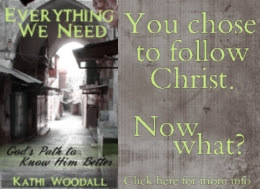 I released “Everything We Need: God’s Path to Know Him Better” a little over a year ago. In it, we consider twelve areas where God calls us to know one of His truths. One of those truths – persecution – is growing like a wildfire. For us in America, I think the time has come for us to stop believing our first amendment rights are more iron-clad than God’s Word; persecution will come. For those in America and all nations, we need to know what God wrote about persecution so we can cope. That’s why I’m sharing excerpts from the chapter in “Everything We Need” that focuses on persecution. This is only about a fourth of what’s in the book. Click here if you want to learn more. The gap between believers and the world is growing every day. We are followers of Christ living in the world; those who persecute believers are part of the world. So, who and what is the world? In his commentary, Matthew Henry described “the world.” The world is led by Satan although he will be driven out and condemned (1 John 5:19, John 12:31, and John 16:11). The world hates believers because we don’t belong in it. God has chosen us out of it (John 15:18-19). The world has many followers but the number of believers in Christ are few (Matthew 7:13-14). I also have made two observations regarding the relationship between the world, the believer, and God. First, a believer’s relationship with the world can’t be one of friendship. The world is comprised of hollow, fleeting obstacles to a relationship with Christ. We can’t desire or seek after those things and love God at the same time as they are diametrically opposed to each other (James 4:4, 1 John 2:15). Second, the world’s treatment of believers is opposite of how believers are to treat one another. The world hates believers but believers should be known for their love (1 John 3:13-15). Our love is evidence of the transformation Christ makes in our life as we grow in Him. Think about it—we were once part of the world until He chose us out of it and we followed in obedience. Therefore, by our very sin nature, we also once hated believers. For love to now define us requires a radical transformation. Despite the hatred the world feels toward God and His people, God feels only one way about the world. He loves it and His strongest desire is to save it. “For God so loved the world that he gave his one and only Son, that whoever believes in him shall not perish but have eternal life. For God did not send his Son into the world to condemn the world, but to save the world through him” (John 3:16-17). A chasm exists between the world and the children of God. In John 15:18-21, Jesus warned His disciples of this split during the Last Supper. His warning compared two aspects of life for the world and the believer—their relationship with each other and their treatment of each other. The relationship between the world and the believer is not a pretty one. Believers were once part of the world. If they still were, the world would love them. So what happened to change their status from part of the world to that of a believer? Jesus chose them out of the world. And the world hates Him. The world is those who are “alienated from God” and “hostile to the cause of Christ”. The only possible outcome is for the world to also hate believers (John 15:18-19). This relationship impacts the second aspect of life between the world and the believer—their treatment of each other. During the Last Supper, Jesus twice told His disciples, “No servant is greater than his master” (John 13:16 and 15:20). John 15:20 is the second time Jesus said, “No servant is greater than his master.” He said it within the context of persecution. If the world persecuted Christ, which they did to the point of death, the world is going to persecute the believer as well. Notice that Jesus didn’t say they will probably persecute you or they might persecute you. He added no conditional aspect to this part of the sentence. Friend, if you are following Christ, the world will persecute you. Despite the guaranteed persecution, Jesus set an example for believers in how they should feel about the world. The first time He said “No servant is greater than his master” was in John 13:16. The context was Jesus’ act of humility while washing the disciples’ feet. This act not only portrayed Him as a servant; it was also an acted parable. This dramatized parable showed His humility in coming to earth, giving His life to redeem mankind, and return to the glories of heaven. “The love that is evident in the laying down of life at the crucifixion is also demonstrated in the laying down of life in humble service in the footwashing” (Osborne). Jesus’ life was one of humility and believers should not aspire to anything different. 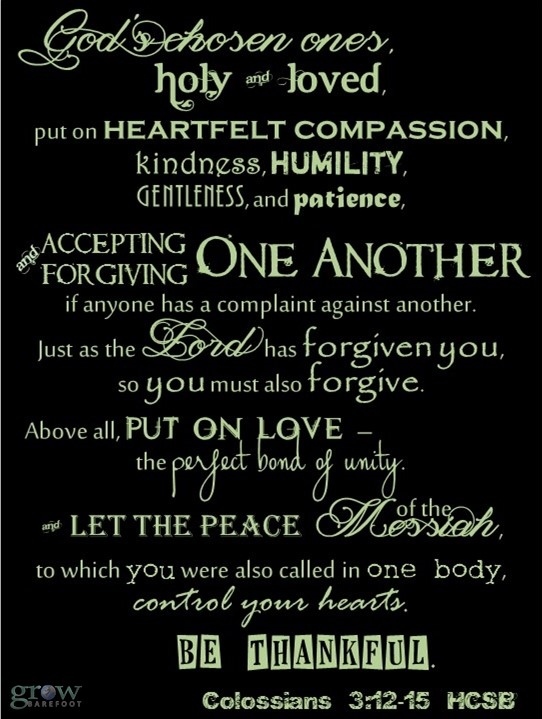 All of these factors combine to reveal another aspect of how believers should treat the world. Yes, the world persecutes believers. Jesus says in John 15:21, “They will treat you this way because of my name…” This next part is very important, “…for they do not know the One who sent me.” Friend, the world does all of this because they do not know! How did you come to know the One who sent Jesus? I’m fairly certain it was because someone told you about Him, whether it was in a sermon, over lunch, in a book, or through any other media. Someone told you about Jesus. For those who don’t know, maybe they just need to be told. Who better than you and I to tell them? 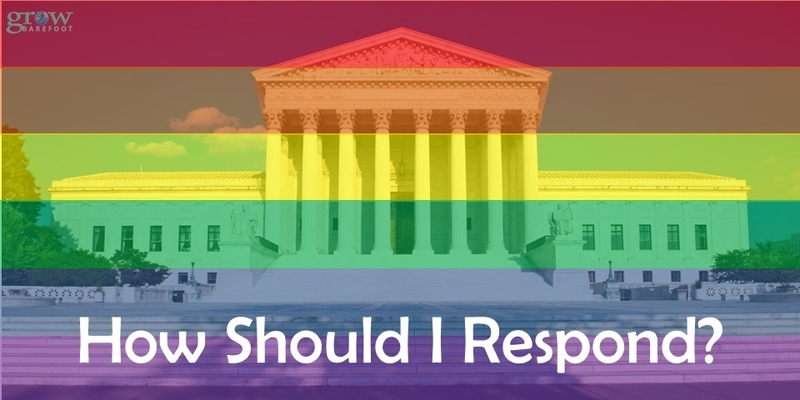 Gay Marriage: How should I respond? I know; I’m a little late to the game. Every organization under the sun has already responded to the Supreme Court’s recent decision regarding gay marriage. I think some of them must have prepared their response ahead of time since they had their posts and comments up so quickly. I like to process and analyze information. I’ve found my responses are better if I take time to prayerfully think things through. We have blurred the lines in the current debate but it actually addresses two separate issues. The first one is a gay relationship and the resulting behavior between two individuals; the second issue is what many are calling gay marriage. Two issues require two different responses. These types of relationships are sin. To deny that is a gross distortion of God’s Word. However, before you start yelling that in someone’s face, remember that all sexual relationships outside of a husband and wife are sin. Our society – even our church society – seems to forget that. 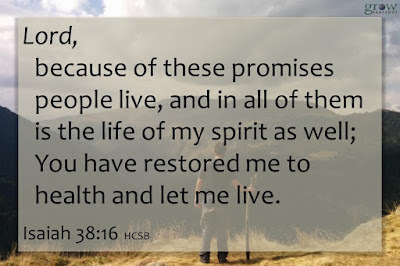 They are also no more sinful than lying to your boss, having a prideful and arrogant spirit, failing to trust God can take care of you, or being stingy with your time and resources. We can’t demonize gay relationships when we are so willing to overlook what we like to classify as “lesser” sins. They’re all the same because they all separate as from a personal relationship with God. And we’re all guilty of them. I encourage you to read Romans 3:19-26. Some people like to say gay relationships aren’t sin because they’re listed in the Old Testament Law and that doesn’t apply today. Yes, we praise God for the life and death of Jesus who provided us with a New Covenant that no longer requires the sacrifice of animals in an ongoing inadequate attempt at being made right with God. However, the Law still defines sin for us (Romans 3:20). All those things listed in its pages are still sin. We now rely on Jesus’ sacrifice as the final and eternal atonement for our sin rather than the blood of animals that could never accomplish the job. I encourage you to read Hebrews 9:1-10:18. Some people like to say gay relationships aren’t sin because Jesus never addressed them directly. Jesus is the Word made flesh, however. You can’t separate the “words in red” from the whole of Scripture. You can’t decide the words He spoke while on earth are truer than all the rest of the words from Genesis through Revelation. I encourage you to read John 1:1-18. Gay marriage can’t exist. A civil union can but not a marriage. The state can recognize a civil union; both God and the state recognize a marriage. God will never recognize a marriage between two gay individuals. It has nothing to do with whether you think He should or what it means if He does or doesn’t. 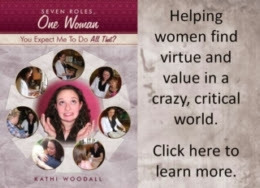 I base the rejection entirely on the fact that God said a marriage is between one man and one woman. Any variance outside of that is sin which takes us back to my earlier points. I encourage you to read Genesis 2:20-25. I didn’t make the rules so I can’t change them. In fact, none of us did so none of us can change them. God made the rules and we don’t get to change them just because we don’t like them. We can choose not to follow them (again, sin) but we can’t change them. So how do I respond to this change in our nation? It was a sad day for me when the Supreme Court announced this decision. Others rejoiced. My sorrow and their joy have nothing to do with who’s right or what’s right. But we’ve already discussed that. My initial response – like many who hold to the truth and authority of God’s Word – was the concern of a coming judgment on our nation. After all, our courts have decreed that God is wrong and they know what’s best. God doesn’t take too kindly to that kind of self-exaltation. I encourage you to read Isaiah 14:9-15 to see how that attitude worked out for Satan. On the other hand, I realized, our courts decided it was ok to abort unborn children over forty years ago. It’s a similar situation where the Supreme Court decided they knew better than God as to the creation of human life. So far, our nation hasn’t seen a fire and brimstone response to that decision. We’re missing approximately 53 million of our citizens who would be my age and younger which is a reason to mourn. I know our nation would mourn them if they had died in a natural disaster or war. Yet, because we slaughtered them in the womb, we don’t mourn their absence. But I’m getting off the point which is that God hasn’t struck down our nation because of that Supreme Court decision. Then I remembered a Bible verse. 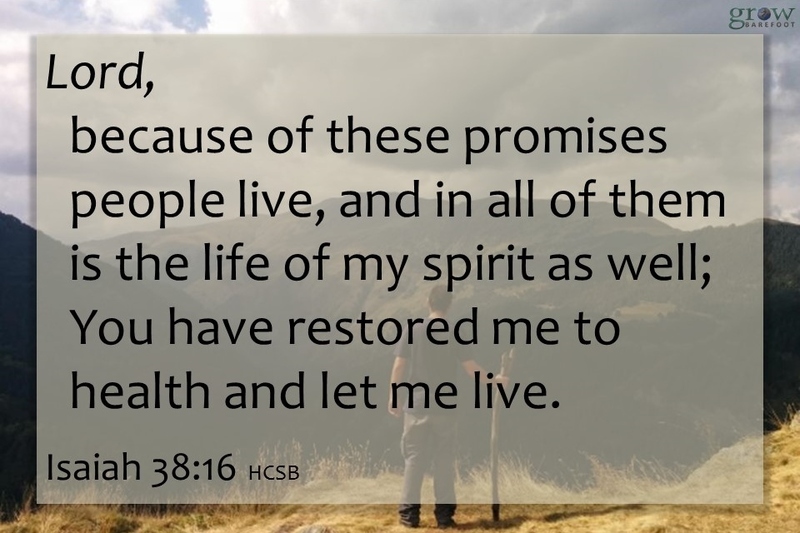 “And just as it is appointed for people to die once – and after this, judgment – so also the Messiah, having been offered once to bear the sins of many, will appear a second time, not to bear sin, but to bring salvation to those who are waiting for Him” (Hebrews 9:27-28). Here’s the connection – God’s Word promises a judgment of death for those who sin. However, that judgment doesn’t come in the moment of our initial sin. For example, God doesn’t strike us dead the first time we lie to our parents as a child. Our sin guarantees the coming judgment but God withholds the judgment until a certain time when we die once because of sin. Ideally, in that intervening time, the offender will recognize their sin, seek God’s forgiveness and readily available grace, and accept Jesus as the source of salvation from the judgment for their sin. If the offender never seeks that forgiveness, then the judgment of death is certain. I think this applies to our nation – and any nation – that exalts itself above God’s Word and authority. We sinned as a nation in 1973 when we decided it was ok to kill our unborn but judgment wasn’t swift and immediate. We sinned again as a nation last week when we decided homosexuality is ok and is included within the definition of marriage. We’ve probably sinned other times in our history but I’m focusing on these two here. God’s judgment of our nation may not be swift and immediate but it is certain unless, as a nation, we humble ourselves before God and seek His forgiveness. His grace is ready and waiting for our nation as much as it is for the individual. If we choose not to seek it, however, judgment awaits. I encourage you to read Psalm 9. How should I live as Christian in this nation? The Supreme Court’s decision didn’t change the answer to this question. We live the same way now as we should have been in the past. We love our neighbors which has nothing to do with whether or not you agree with their sin of choice. After all, we all sin (Matthew 22:39). We extend grace to those who sin because God has done the same thing for us (2 Corinthians 1:12). We should show love and good works, come together in worship, and encourage one another (Hebrews 10:24-25). We should act justly, love faithfulness, and walk humbly with God (Micah 6:8). We should love our enemies and pray for those who persecute us (Matthew 5:44). 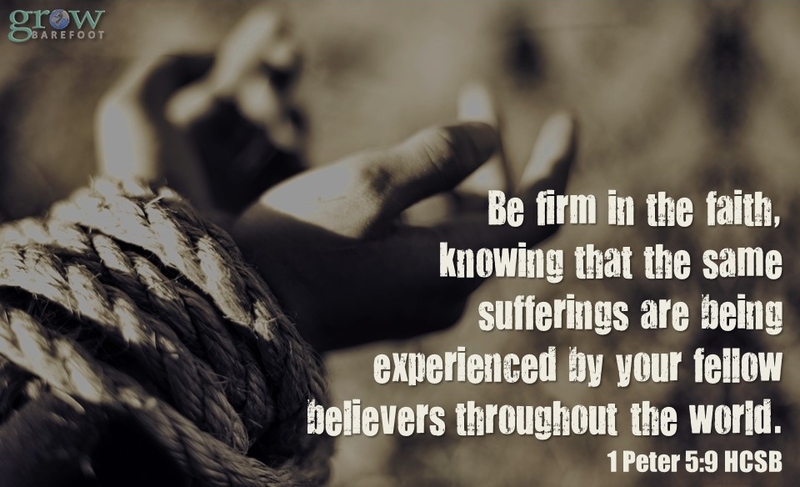 We should rejoice in persecution as we suffer as did Jesus, our Savior (John 15:20). I could go on but the list would be extensive. None of it would include a call to hatred or condemnation on our part, however. I encourage you to read the New Testament. Softball season is in full swing. Yes, that pun was intentional. With four daughters who love to play, I’ve sat through a combined total of 26 seasons of softball games. I’ll probably sit through 37 more seasons unless one of them plays in college. In that case, I’ll have even more. I didn’t know much about softball when my oldest started playing ten years ago. I played one season of t-ball when I was little and that was the extent of my career. My skills weren’t impressive and didn’t show signs of improvement. My knowledge was minimal as well. Seven innings, three bases, single, double, triple, and hit the ball with the bat when the pitcher throws it. I know a lot more now. I know the batter shouldn’t drop their shoulder when they swing. If they do, they’ll have a pop fly that’s easy for the other team to catch. I know the pitcher should release the ball at their hip and follow through with their lower arm up to their chest. Release too early, the ball will be too low. Release too late, the ball will soar over the catcher’s head. Don’t follow through with the arm, the ball will fly to the right. Unless the pitcher is left handed in which case it will fly to the left. I know the outfield players are important for backing up throws from the catcher to 2nd or 3rd base when an opponent is trying to steal a base. 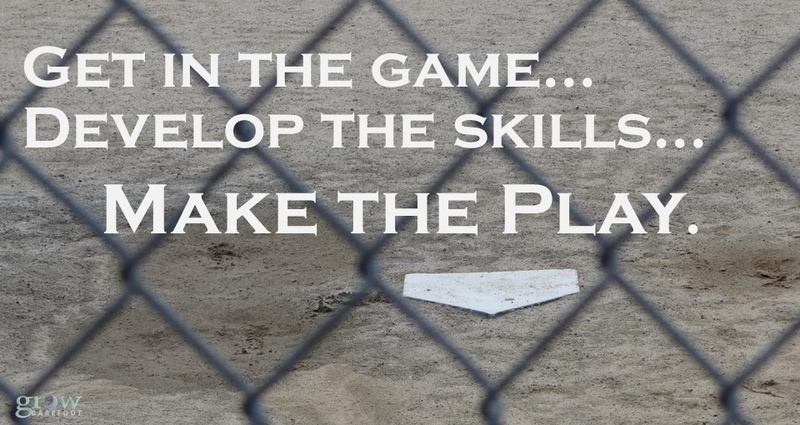 Here’s an important one – the catcher, not the pitcher, has the most control over the game. If they’re good, they have a picture of the whole field in their mind during every pitch and they know exactly how they’ll respond to each scenario without a moment’s hesitation. They often set the attitude and pace of the game by their actions. My skills are still lousy on the softball field. I know the batting position but I can’t hit a line drive. A pop fly hit in my direction would probably land on the ground beside me. I’d break my ankle if I tried to slide into home. I’ve sat in my portable, folding arm chair and watched from the sidelines for all those seasons. I’m usually the one with the score book on my lap. I’ve sat… learning and learning… but never doing a thing with it. My head is jammed full of softball knowledge but I've never put it into use to make a play of my own. Churches are full of people doing the same thing. They’ve sat and watched the sermon and worship team for years. They’re loyal, dedicated fans of the church game who give a loud cheer when a great play happens such as a new adult small group, youth mission trip, or adventurous VBS week. They’ve never tried to be part of a great play out on the field, though. Their experience is a lot of understanding about what it means to be a follower of Christ but no actual game time. They’ve never developed or tested their gaming skills. On the softball field, those skills are batting, running, catching, and throwing. It involves a comprehension of the whole game and how it all comes together in one play. Following Christ is really no different. The Christian’s gaming skills are prayer, Bible study, discipleship, and living as a witness. They also need a good understanding of the whole game and how it all came together in one play on the cross. I’ve heard a lot of teaching on prayer but it didn’t become an intimate, active conversation with a loving Savior until I started doing it. I learned how to make the play on the field of prayer when I set aside time every day to talk to Him. That’s when things became real as the power we wield through prayer humbled me. I sat through a lot of sermons on Bible passages but never remembered much later. I remembered the plays of the game, though, when I started opening the Bible and studying for myself. The Spirit prompted my memory with a verse appropriate to a difficult situation. The hard parts of His Word started to make sense rather than appear as a contradiction as the whole picture began coming together in my mind. I realized I could help another player on the team as they struggled in a certain area just as others have been there to help me. I’ve read a lot of lists of do’s and don’ts for a good Christian lifestyle; lists created by men to control others. Prayer and Bible study naturally create a lifestyle of good plays without a list of rules. Loving your neighbor comes a lot more easily. Trusting in God’s provision starts to make a lot more sense. We understand the importance of a faithful marriage between one man and one woman as we learn how it all aligns with God’s design. Until we’re on the field and making the plays, however, the list of rules won’t make sense. I’m not the MVP of this game; many better players are out on the field with me. Paul was a pretty good player and yet he wrote, “For I am the least of the apostles, unworthy to be called an apostle, because I persecuted the church of God. But by God’s grace I am what I am, and His grace toward me was not ineffective” (1 Corinthians 15:9-10). The goal isn’t to be the star player on the team. 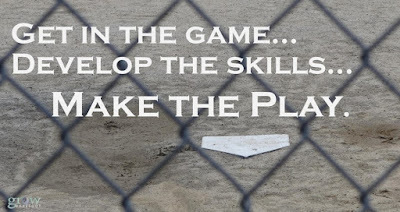 The goal is to be a part of the team, to learn to make the plays, and bring honor and glory to the Coach. Because then, when the game is over, we’ll be part of the huddle out on the field where He’ll tell us good job, we’ll put our hands together in the middle of the circle, and we’ll all yell His name as we rejoice in victory. We won’t still be sitting on the sidelines. I'm Too Busy: How will God view our excuses when eternity comes? The church is full of hypocrites. A God of love would never send people to hell. Everyone has their own truth and their own path to God. My teacher told me God doesn’t exist. I went to church when I was little so it’s all good. Or, I’m a member of the local church so it’s all good. I’m covered. I’ve done too many bad things. God doesn’t want me. I’m a good person. God will let me in. I can take care of that some other time. I’m too busy right now. All that Bible stuff is too hard. I’ll just wing it. I went to church but someone there made me mad. I won’t go back. I’d go to church but someone already there hurt me. I’ll never go somewhere where he/she is at. They are just after my money. They don’t care about me. We’ve all heard these excuses for why people reject Christianity. We’ve probably even said or thought some of them ourselves. I’m not even going to offer a rebuttal to them. Instead, I’m going to skip the debate and go straight to the point. I’m going to focus on the heart of the issue. These are all excuses we use so we don’t have to face the truth. However, when the moment of truth comes, our excuses won’t matter one single bit. I’m not going to sugar coat this or try to make it politically correct. I’m going to put it out there and leave the rest up to you. We throw out excuses for our rejection of God’s truth as if they’ll make a difference in our eternal outcome. We actually think God will consider those excuses as valid “Get out of jail free” cards in a cosmic, eternal Monopoly game. I mean, after all, God is love and His is a message of grace, right? “God’s love was revealed among us in this way: God sent His One and Only Son into the world so that we might live through Him. Love consists in this: not that we loved God, but that He loved us and sent His Son to be the propitiation for our sins” (1 John 4:9-10). God is a God of love. As Creator of the universe, He has the privilege of defining love. He defined it as a sacrifice made by one person for the benefit of another person. He played it out by sacrificing Himself to pay the penalty for our sin so we might receive the benefit of forgiveness and eternity in heaven. 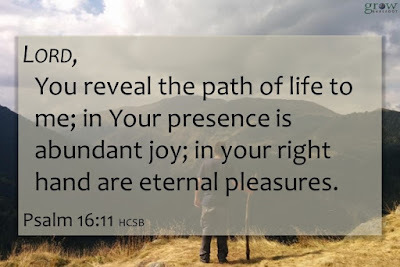 “Since by one man’s trespass [Adam], death reigned through that one man, how much more will those who receive the overflow of grace and the gift of righteousness reign in life through the one man, Jesus Christ. … But where sin multiplied, grace multiplied even more so that, just as sin reigned in death, so also grace will reign through righteousness, resulting in eternal life through Jesus Christ our Lord” (Romans 5:17, 20-21). God is a God of grace. 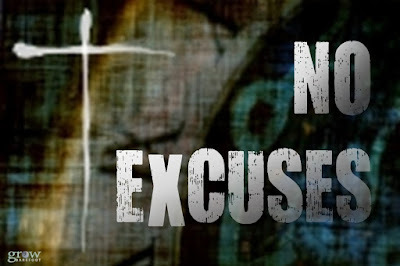 Grace doesn’t make excuses and exceptions to get around the truth. That’s called lying and deception and they’re trademark signs of Satan, not God. God’s grace recognizes our sin for what it is without excuse. Instead, He forgives it completely and totally because of the blood sacrificed by Jesus. A difference exists between excusing an offense and forgiving one. To excuse an offense means to pretend as if it wasn’t actually offensive or didn’t hurt you. To excuse an offense gives power to the offender. To forgive an offense means to recognize that the person’s action was wrong, it did hurt you, but you choose not to hold it against them. To forgive an offense gives the power to the one offended. The latter is God’s grace. When that moment comes and you stand before God, I won’t be there to hold your hand and offer false promises of security. Your excuses won’t be there still promising false justification. That moment will be between you and God alone; all that will matter is what you did with the message of love and grace offered by Jesus. Did you accept it or did you excuse it away? Please click here to read a full explanation of what it means to accept Jesus’ gift of love, grace, and salvation. It’s eternally significant. Jimmy recently downloaded a fitness app on his phone. Among its many “smart” capabilities, it tracks the number of steps he takes each day. I guess we can add pedometer to the list of many gadgets now replaced by smartphones. The health and fitness app guided him through setting up a series of health goals, including how far he’d like to walk each day. He set the goal at 10,000 steps/day. Health and fitness aren’t going to just happen in our lives. We won’t wake up some morning and find we’ve arrived at a certain weight, cholesterol level, or body mass index unless we take regular, active steps to make them reality. We all know walking is a good, safe option to help us achieve our desired health and fitness goals. As we walk, we become stronger, healthier, and reach our destination. I started thinking about these three outcomes that walking has on our lives after I posted last week’s article, Don’t Stand Still. The American church is familiar with a phenomenon we call pew sitters. They are people who come to church, sit in the pew for the sermon, and leave again with no real impact on their lives. Well, last week I classified another group of us – the standers. We’re involved in a few activities, have some Christian influence outside the church building, and try to live a fairly good life. Maybe you read that article. Maybe you thought, “Isn’t that what we call the Christian walk? Isn’t that what we’re supposed to do?” Maybe you’re right. But I think there’s more. Think about that app Jimmy downloaded on his phone. After several weeks of use, yesterday he finally reached his goal of 10,000 steps in one day. It didn’t happen because he sat at his desk all day nor did it happen because he stood around talking. He reached that goal because he was up, moving, getting things done, and being active. When we walk, we become healthier, stronger, and we move forward. That’s why I see a difference between those who are spiritually standing still and those who are spiritually walking. 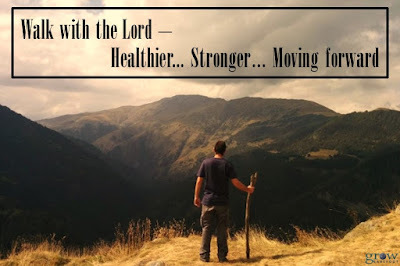 I see lots of us doing a lot of Christian things each day but we’re not becoming healthier, stronger, or moving forward. We all deal with stuff; you know, the baggage we carry around due to bad experiences in our past. We have those experiences because we live in a messed up world that does everything it can to fight God’s design. God’s Word doesn’t lay out a twelve-step program for overcoming drug addiction. It doesn’t give us three steps to recovering from divorce. You can’t turn to a certain page and find out exactly how to deal with various forms of child abuse, depression, or negative self-image. But, if we’re walking with God – rather than sitting or standing still – then we’re going to become mentally and spiritually healthier as we learn to let go of the baggage that weighs us down. We’re going to be in an active, growing relationship with the one who can bring health through prayer and an understanding of various Scriptures. We’re going to see truth in His Word come to life in a way we never would have believed possible. We’re all unsure; we all have doubts. We all look at the path that lies before us and feel inadequate to the job. Our weakness overwhelms us. The Bible doesn’t give us a mathematical formula to incorporate faith into our life. It doesn’t promise trust will come to those who say a certain prayer. The Bible doesn’t give power to those who at most skim through its topics. But, if we’re walking with God – rather than sitting or standing still – then we’re going to become mentally and spiritually stronger. 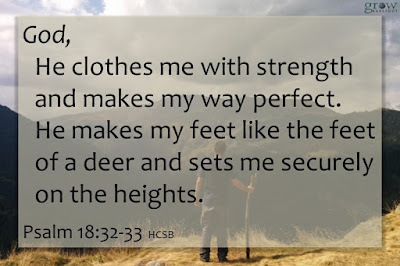 We’ll see God work in our circumstances even in the midst of our hard times; our faith will grow as we realize His strength will be sufficient for us in future trials. We will face impossible situations with the recognition that our only option is to trust Him. It will make us almost sick to our stomachs as we empty the situation of our own ability and trust completely in Him. And yet, we’ll look back and know that is when the trust in our relationship grew stronger. We will face insurmountable odds; rather than become weak and overwhelmed, we will remember a Bible verse we studied and claim its power and authority for that moment. We will see the power of God work mightily in our lives to conquer and destroy that which would hold us back from all God desires. We all want to stay where we are because everything is safe, secure, and familiar. We know what to expect and how everything works in our current location. It’s easy to stand still because it doesn’t require us to stretch ourselves or step out into the unknown. But, if we’re walking with God – rather than sitting or standing still – then we’re going to move forward. We’re going to look back 5 or 10 years and realize we’re closer to God now than we were then. Our spiritual illnesses and weaknesses will be fewer and farther behind us than they once were. We’re going to look forward with excitement, trust, and faith at where God might lead us. We’ll look forward and see that God didn’t seem as far away as He once did. God gave us everything we need to start a revolution of love… an overflow of hope… an explosion of faith. But we’re not going to see any of it until we change some things in our own lives. God gave us a message of faith, hope, and love with which to transform the world, starting with ourselves. We won’t have the privilege of seeing that message go anywhere until we stop standing still and start walking – to become healthier, stronger, and closer to Him who gave His life to deliver us.